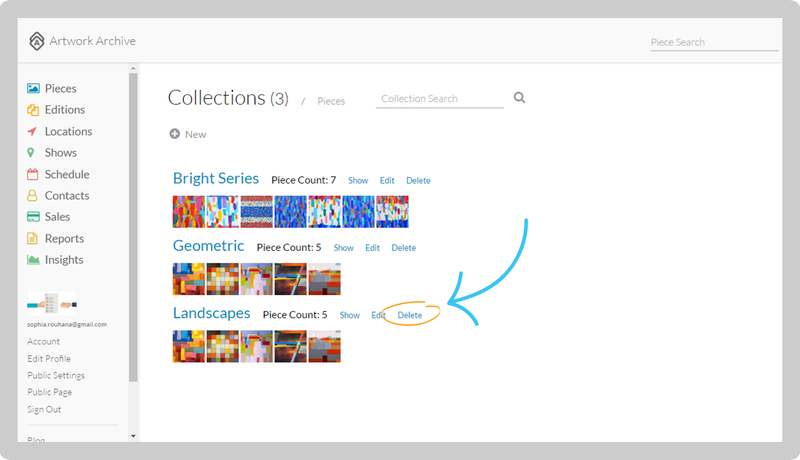 You can create different Collections to sort your artwork by type, subject matter, or genre. Click Pieces in the left-side menu, then click the gray Collections button. Select the gray +New button. Fill in the Collection Name (e.g. Landscapes). 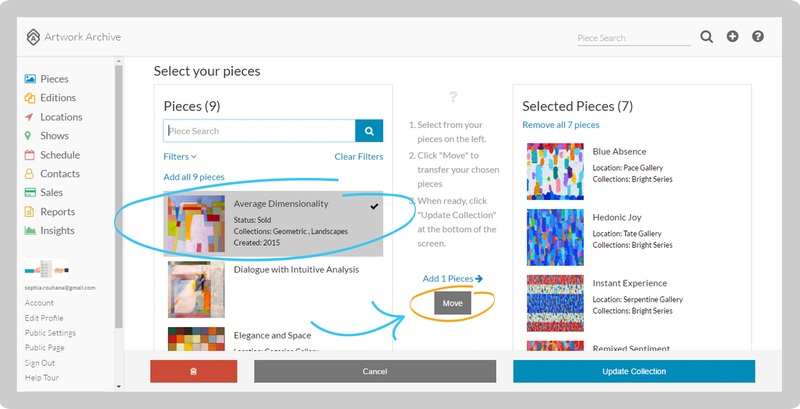 Select the Pieces you would like to include. Then click Move. 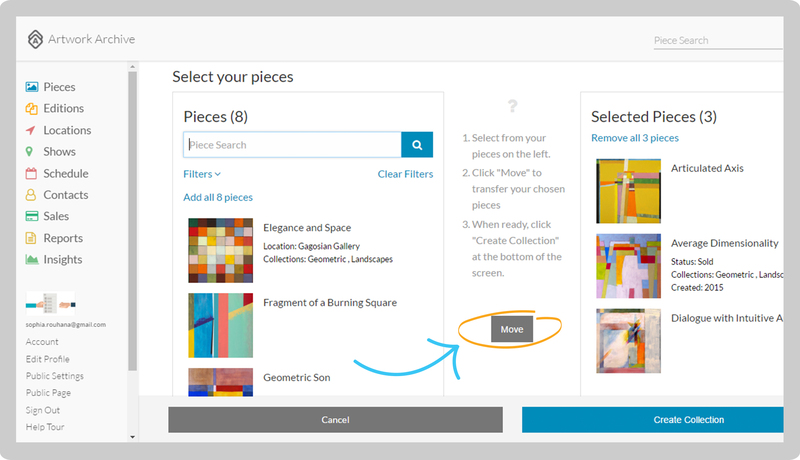 Click the blue Create Collection button. Repeat these steps to add more Collections. Click Pieces in the left-side menu, then click on the gray Collections button. Click the blue Edit button on the right-hand side of the Collection you want to edit. 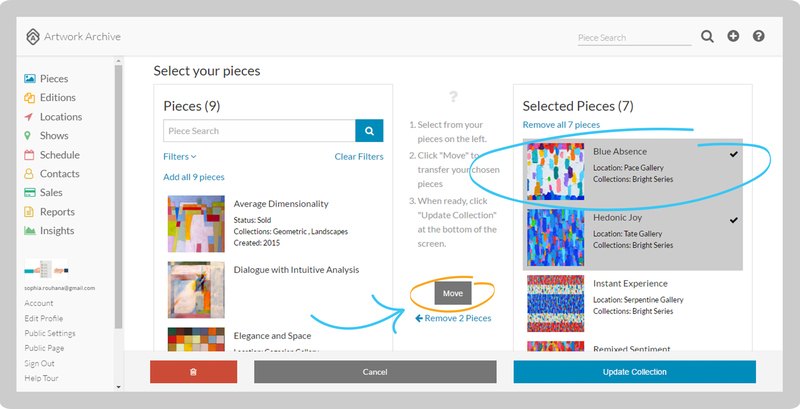 Here you can rename the Collection and add or remove Pieces from it. To add a Piece, click on the image under Pieces that you want to add to the Collection. Then select Move. 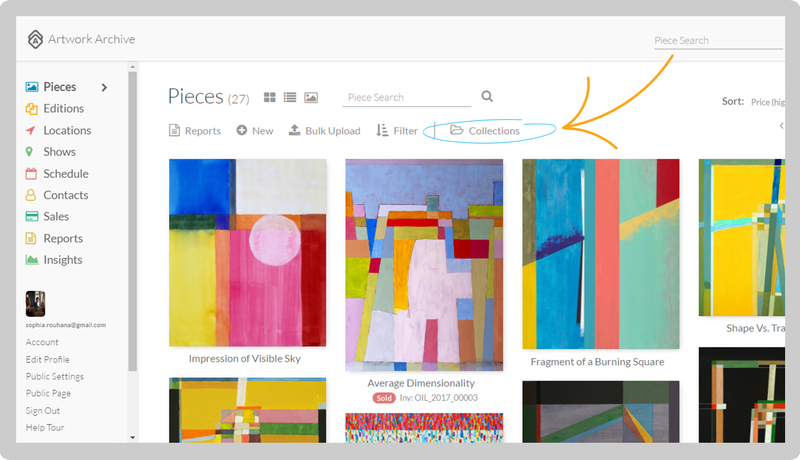 To remove a Piece, click on the image under Selected Pieces that you want to remove from the collection. Then select Move. Click Pieces in the left-side menu, then click the gray Collections button. Select the blue Delete on the right-hand side of the Collection. Select Ok from the Dialog box. Note: Collections have a devoted page on your Public Profile. You can see them by clicking View Profile on the left-hand side menu. On your profile, scroll down and click on Collections under News.